Segway is branching out from its eponymous ‘personal transporters’ with a lineup of delivery robots. Ninebot, the parent of Segway, is debuting its first-ever autonomous delivery robot, called Loomo Delivery, alongside a new scooter. 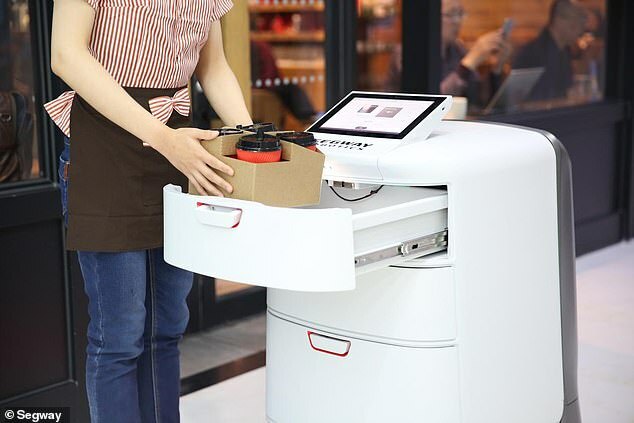 Loomo is designed to make deliveries in buildings and malls, using artificial intelligence to make sure they’re dropped off at the right location. a pregnancy kit. The test result shows that the girl is pregnant. 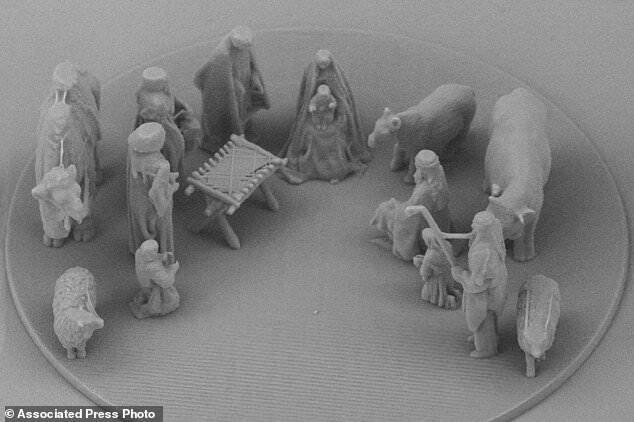 This nativity scene is so small it can fit inside the eye of a needle – invisible to the naked eye. But with a microscope the scene in all its intricate details is revealed. Named the ‘Nano Holy Family’, it is a miniature replica of the Nativity Scene at Cathedral Square in Vilnius, Lithuania. In it, baby Jesus is smaller than a human cell. Lockheed Martin has taken the wraps off its vision for a future manned lunar lander at International Astronautical Congress (IAC) in Bremen, Germany. The concept spacecraft is designed to show how a reusable lander, in conjunction with NASA’s planned lunar Gateway deep-space orbital outpost, can support an indefinite human presence on the Moon as well as providing valuable experience for the first manned missions to Mars. Allie Stuckey for Prager University asks why the big push to make men more like women. We want force the masculinity out of men. Like masculinity is a bad thing. But in today’s snowflake society, there is more thing as just being a manly man. Now being manly is considered “toxic” masculinity.